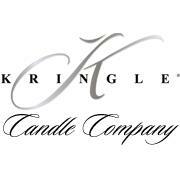 The Kringle Candle Company based in Bernardston Massachusetts has been creating candles since 2009 with a history extending back to 1998. The Kringle Candle Company unites the best of traditional and the new with a candle that will mesh with any decor. All scented candles are white, to fit in easy to any color scheme. This also allows the candle to glow more brightly giving more ambiance to the room, and to burn cleaner without the addition of dyes. I received a variety of product to try from Kringle Candle Company! Unique to Kringle Candle Company is the Kringle Mesh Potpourri Warmer. $19.99 This burner allows you to melt your Wax Potpourri melts using unscented tea lights. I do enjoy wax warmers that plug in, but they don't give off the ambiance that the candle lit one does. This looks so beautiful on the mantle or table in the evenings! It has a nice clean, clear burn. Shop by styles, fragrances or collections. Kringle Candle Company is offering my readers the opportunity to win a Medium Apothecary Jar in Soothing Cinnamon! Be sure to stop by their Facebook Page and let them know you are excited about the giveaway! Can't wait to smell some great Kringle Candles? Fresh cut grass sounds lovely. mango, coconut pineapple, and beachside! Peony and sunflower rise :). Nantucket Rose would be great! I would like citrus and sage. the lemon merengue pie sounds nice! I would like to try tranquil waters or key lime pie. Mmmm I really want to try Beachside. Fresh Baked Bread sounds amazing! I would love the gardenia. I think cozy cabin sounds wonderful! Oh my! There are so many lovely sounding scents. I'd love to try the Coconut Macaroon and the Mulling Spices and maybe even Nantucket Rose. the brownie cheesecake would be my first choice! I'm curious about the Peony scent. I love manly scents, herb-y scents, woodsy. I don't usually like food scents, but I do love Cinnamon. I've not tried this line before. I've tried the Cinnamon Bear scent from Scentsy & it was fabulous. There are so many but Rainy Day and Warm Cotton stand out. I'd love the Citrus & Sage, Key Lime Pie, Baker's Vanilla and Tangerine. I would love to have so many of the scents, they sound wonderful! I think I might pick Freestone Peach. I'd like to try the Lemon Rind. Id like to try tranquil waters and sunflower. I love anything vanilla. Thanks!